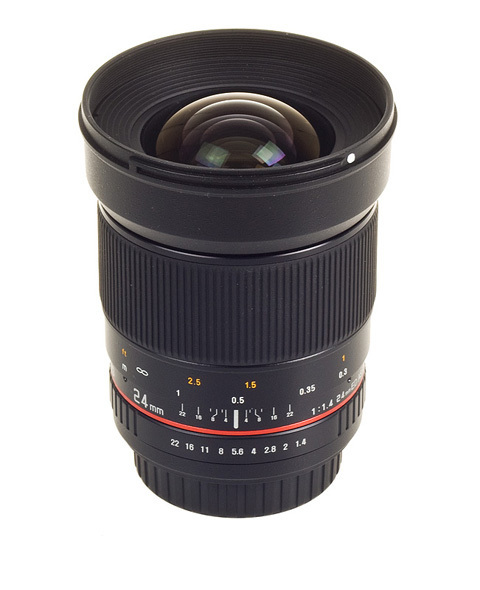 South Korean lens maker Samyang has this afternoon confirmed that it hopes to release a 24mm f/1.4 ED lens 'by the end of the year'. South Korean lens maker Samyang has this afternoon confirmed that it hopes to release a 24mm f/1.4 ED lens ‘by the end of the year’. The 13-elements-in-12-groups optic will feature four ED elements and two aspheric lenses. The 24mm f/1.4 ED AS UMC will be available in Nikon, Canon, Pentax, Samsung NX, Sony Alpha and Four Thirds mounts. A Samyang spokesman said the lens should be available by the end of 2011, or the start of 2012.